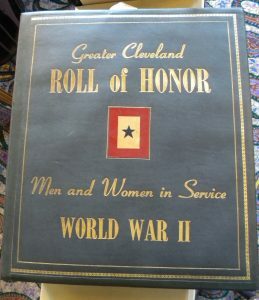 The Greater Cleveland Roll of Honor lists the names of many Cleveland area men and women who served during World War II. 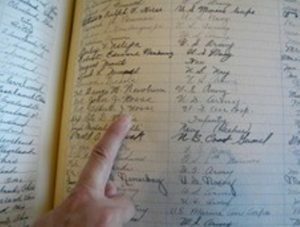 Since many were on active duty at the time, their wives, mothers, fathers, sisters, brothers or other family members would register the name of their loved one. The Roll includes all branches of the U.S. military. The book was dedicated on May 6, 1942 by Louis B. Seltzer, editor of the Cleveland Press and Mayor Frank Lausche and given to the Cleveland Public Library to be permanently housed once the war ended.